The killing Tuesday of 85-year-old Rev. 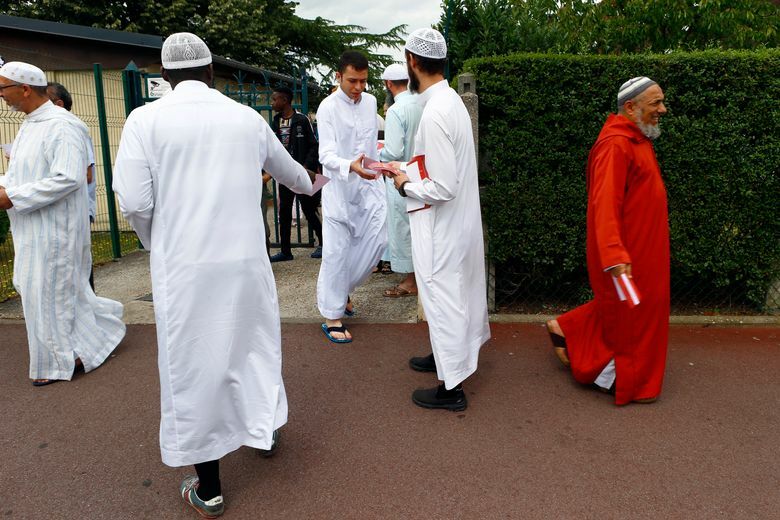 Jacques Hamel as he celebrated morning Mass sent shockwaves around France and deeply touched many among the nation’s 5 million Muslims. The Islamic State group claimed responsibility for the attack, as well as the July 14 truck attack in Nice, where 84 people were killed by a man who plowed his truck down a seaside promenade. 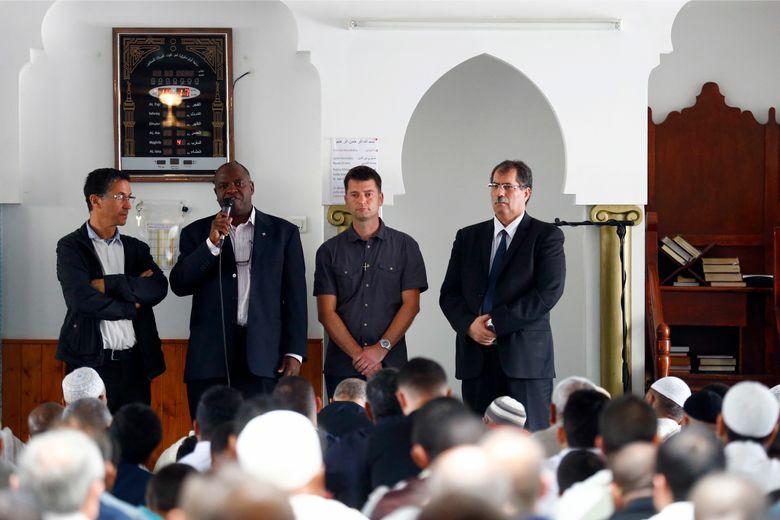 The head of the main Muslim umbrella group, Anouar Kbibech, who attended Friday’s gathering, reiterated a call for Muslims to visit churches on Sunday to show solidarity with Christians as they pray. But one imam made a rare direct strike at the killers who claimed to act in the name of Allah. 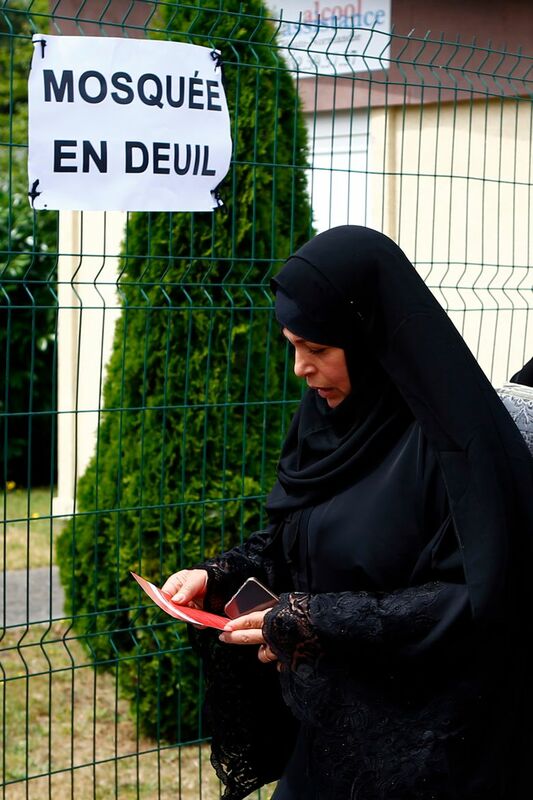 The two 19-year-old attackers were killed Tuesday by police as they left St. Etienne church, where they had held two nuns and an elderly couple hostage as they slit the priest’s throat. A third nun escaped and gave the alert. That church has now been sealed shut. Another 19-year-old was handed preliminary charges on Friday for “criminal terrorist association” after investigators found a video at his home showing one of the slain teens — Abdel Malik Nabil Petitjean — warning of a “violent action” to come, a judicial official said. The discovery was made a day before the church attack when the man was arrested. While investigators are seeking information on the July 26 church attack, they were also making arrests in the Nov. 13 Paris attacks that killed 130 victims. 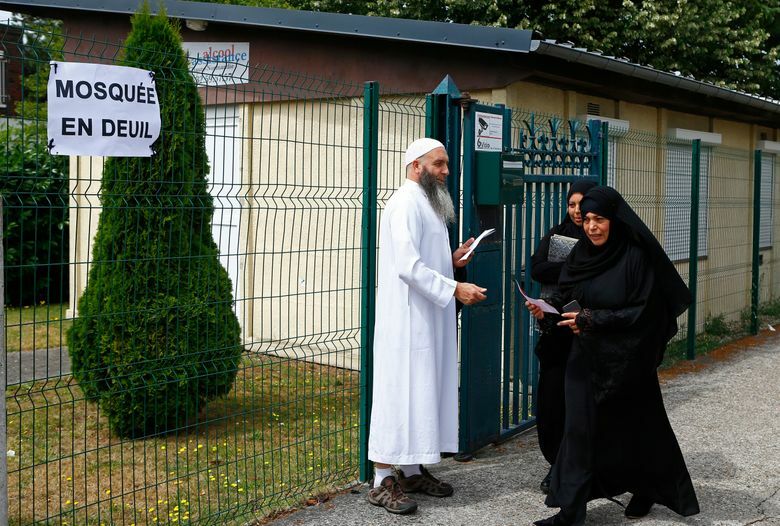 An Algerian and a Pakistani transferred recently to France from Austria were also handed preliminary charges Friday of “criminal terrorist association,” the official said. Also being held was a cousin of Kermiche’s accomplice, Petitjean, on suspicion he was aware of the attack plan based on information culled from social networks, the judicial official said, speaking on customary condition of anonymity. How Kermiche, from northwest Normandy, concocted the attack plot with Petitjean, from Aix-les-Bain in the Alps of eastern France, remained unclear. What is known is that Petitjean arrived in Kermiche’s town just three days earlier, apparently staying at his home, according to the judicial official. Kermiche wore a tracking bracelet after arrests with false ID’s trying to go to Syria but had four hours a day of freedom. Petitjean had no criminal record. Petitjean’s identity was made public Thursday based on DNA tests. Anti-terrorist officials came close twice before the attack to identifying him as a threat. Four days before the attack, an alert with a photo of him went out to French police with a note he may be planning an attack — but the photo had no name. He was spotted in Turkey in June, but French authorities were alerted too late and he quickly returned to France. Elaine Ganley reported from Paris.